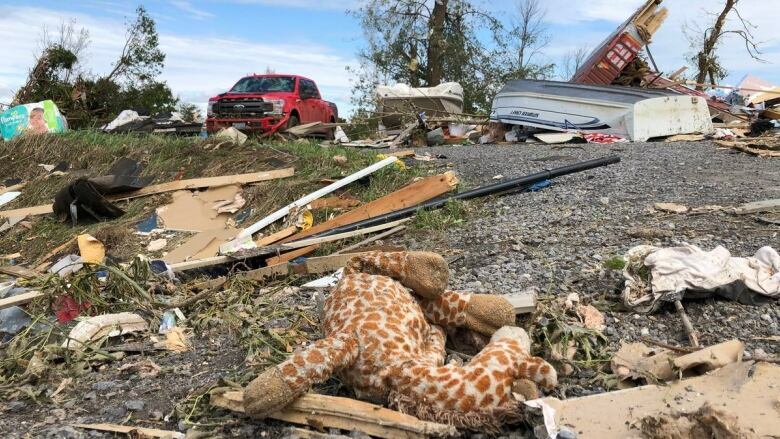 More than a dozen charitable and not-for-profit agencies in Ottawa banded together Wednesday morning to begin determining the next steps in assisting residents affected by the tornadoes that ripped through the region Sept. 21. This first meeting of the coalition, called After the Storm, was convened by Michael Allen, president and CEO of United Way Ottawa. "We recognize, as a group, that we will shift from an emergency phase to a recovery phase," said Allen. "It's our job to make sure we organize ourselves in a way that is most effectively supporting our community." The group includes the Canadian Red Cross, Salvation Army, Ottawa Food Bank, Ottawa Senators Foundation, Ottawa Community Foundation, Ottawa Community Housing, Ottawa Community Housing Foundation and the Champlain Community Support Network. In attendance at the meeting were Knoxdale-Merivale Coun. Keith Egli and West Carleton-March Coun. Eli El-Chantiry, whose wards were particularly hard-hit. Ottawa Mayor Jim Watson also attended the meeting. "We heard many, many needs this morning, from the councillors who are on the ground to the agencies that are doing this work. Our work is just beginning," Allen said. So far the United Way has raised $225,000 toward the relief effort, while the Ottawa Senators Foundation has raised $385,000 in donations. Exactly how affected residents will access those funds is still being worked out, Allen said. "We may not have all those answers, but the commitment that we're making to you today, is that the institutions and organizations that have a long history and commitment in this community are committing to one and other, to answer those exact questions." Allen and other agency leaders who spoke following the meeting said the coalition's top priorities are food security and mental health services. Some of the United Way's fund and $200,000 of the Senators Foundation fund will go toward restocking the Ottawa Food Bank, which was forced to discard food spoiled during power failures. A large push is also planned for the food bank's annual Thanksgiving drive on Oct. 5 and 6. The remaining $185,000 of the Senators Foundation fund is being dedicated to crisis counselling, specifically for people displaced from their homes. "People's mental health dictates so much of their livelihood, so we want to make sure there were some resources early on for those impacted," said Danielle Robinson, president and CEO of the Ottawa Senators Foundation. That support will be available mostly through the Distress Centre of Ottawa & Region and Tel-Aide Outaouais. Allen said After the Storm will hold more meetings in October and beyond to continue coordinating the relief effort. "We will not forget anybody. We will monitor and come together on a regular basis," said Allen.